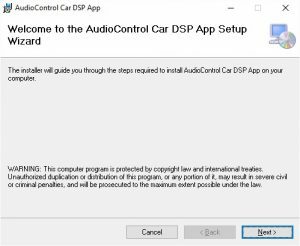 First, you will want to download the software from the bottom of the DM-810 product page here, or from the DM-608 page here, or from the D 4.800 page here. 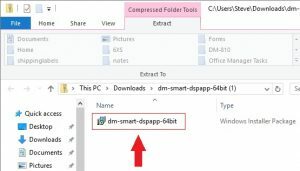 Unzip the folder and double click on the .msi file. 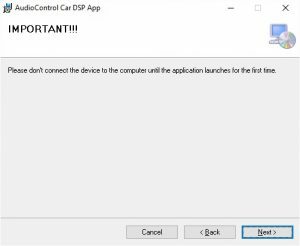 When running for the first time, the setup wizard will automatically search for the required drivers, this may take a short while depending upon your system. 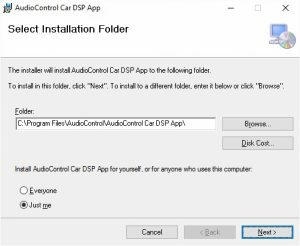 It will then ask you to select the installation folder or default location. Two more screens will appear, confirm and completion screens. 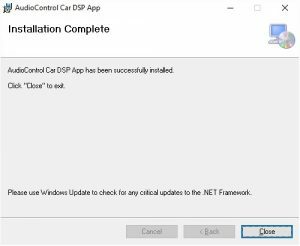 The new application “DM Smart DSP” will now appear on your computer. 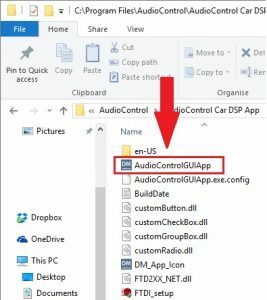 You should be able to find it inside an “AudioControl” folder in your “Program files” folder on your computer. 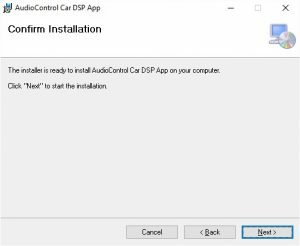 Click yes, it will the automatically find the latest firmware and update the processor or amplifier. 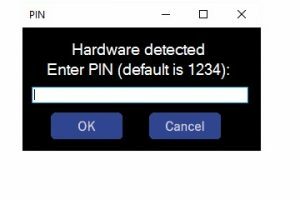 Click OK, after a few moments, the device will prompt you to enter your password and you will be good to go!